The status quo of hostility between rival Christians preventing the repair of the tomb seems like an apt metaphor for theological problems in the church. 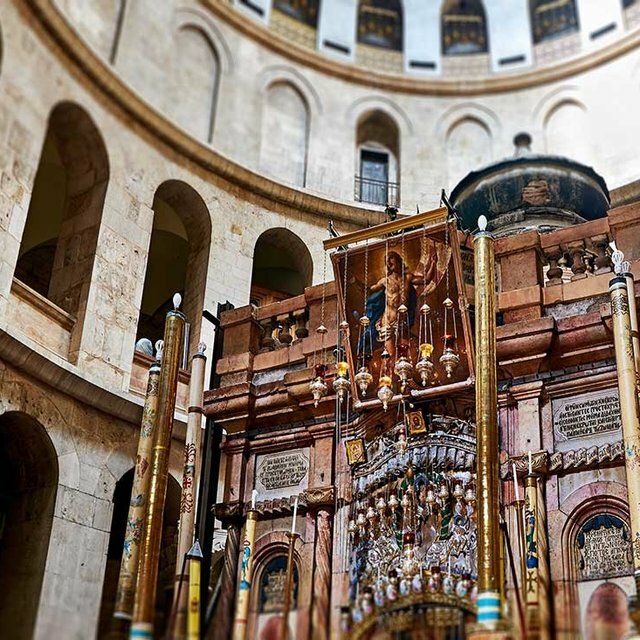 The tomb of Jesus is on the verge of collapse! That’s the official assessment out of Jerusalem, and the imminent danger has inspired rival sects of Christianity to set aside their differences at least long enough to do something about it. The status quo stand-off between the Greek Orthodox, Armenian Orthodox, and Roman Catholic communities that control the sacred site creates a tragically comical turf war that hampers any efforts at repairing the aging shrine. For example, a wooden ladder propped up above the church’s entrance has been standing under a window in that location since the eighteenth century. The ladder, which has come to be referred to as the “status quo ladder,” is deemed as immovable due to the rule that prevents any one sect of Christianity from rearranging anything at the church. The real status quo between the rival sects of Jesus’ disciples is rivalry itself. One of my sons and I visited the tomb in 2008. Later that night, we saw on the evening news that we had narrowly missed an exciting brawl between Greek and Armenian priests, right outside the tomb. Israeli police were called to break up the fight. Why is the tomb in danger of collapse? The broken remains of original tomb location are actually enclosed by a stone edifice built by the Crusaders in the Middle Ages, which is encased by a heavy marble structure built in 1810. A 1927 earthquake destabilized the structure. In 1927, the British reinforced the structure with a heavy metal exoskeleton composed of ugly metal beams and girders. In recent years, and despite the reinforcements, the structure has become increasingly unsound, putting the lives of daily pilgrims at risk. 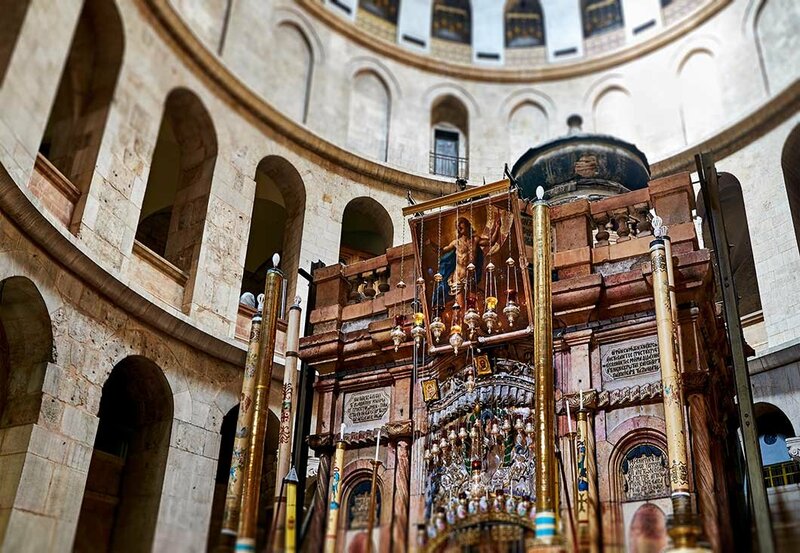 Still, the status quo tension between the rival sects of Christians who control the church prevented any attempts to repair the structure—that is, until the Israeli government intervened, threatening to shut the tomb down if it is not repaired. Thanks to intervention from the government, the rivals have found a way to negotiate a plan to repair the structure. It will require dismantling and reassembling the entire Aedicule, a process that will cost more than three million dollars. You can read the whole story in an April 6 New York Times article describing the situation. The status quo of hostility between rival Christians preventing the repair of the tomb seems to me like an apt metaphor for theological problems in the church. The disciples of Jesus remain bitterly divided over protecting their own dogmatic interpretations of the truth, meanwhile neglecting the authentic Jewish core inside the church edifice and scarcely noticing that the whole edifice is in danger of collapse under the weight of modern secularism and disillusionment. The right thing to do, at this point, is not to prop up the tottering edifice. The right thing to do is dismantle it, stone by stone, rediscover the original Jewish gospel message of the kingdom, and then put it all back together properly.